Index > News > Some news of the band! Some news of the band! 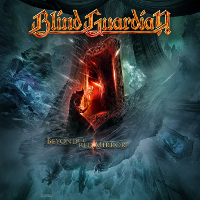 The group chose A Voice In The Dark as single because it's a very speed song, very "Blind Guardian" and with a catchy chorus. Hansi was inspired by the saga of "A Song Of Ice And Fire" by George R.R. Martin to write A Voice In The Dark. "The Wheel Of Time" by Robert Jordan was the inspiration for Hansi to write Ride Into Obsession and Wheel Of Time. Wheel Of Time is the favorite song of Hansi on At The Edge Of Time. And for those who want to read the entire interview, here it goes: Interview with Hansi on Metal Sound. 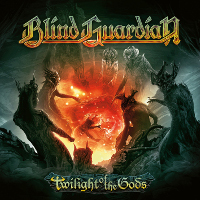 Blind Guardian was in Paris on Friday 11 to promote the album and will be on Monday 14 in Madrid to continue their European promotional tour which should also pass through England, Switzerland, Italy and other country yet! And finally, a short interview in German with André and Marcus by Metal Hammer magazine in which they talk about their influence of the heavy metal of the 80's. Most parts of "Thorn" have been composed for "Nightfall".